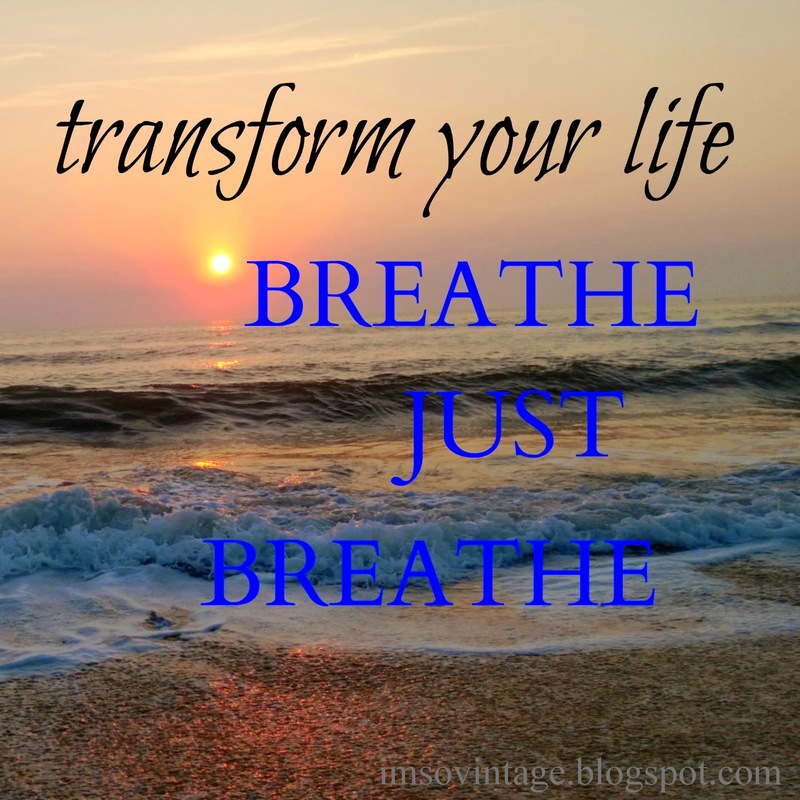 How can you transform your life? Breathe just breathe. 1) When the daily stress of life is weighing you down, close your eyes and breathe just breathe. 2) When you are not sure which path to follow, let the possibilities come to you and breathe just breathe. 3) When you are worried about an unknown outcome, bring yourself back into the current moment and breathe just breathe. 4) When you feel you are on information overload, clear your mind and breathe just breathe. 5)When you can't seem to stop the past from controlling your life, let it go and breathe just breathe. Slowing down with deep cleansing breaths will bring you back into the present moment and allow you to enjoy this moment. Our moments are too precious to waste. Laura, this is the best message! When I was so stressed as I was packing and working on moving my Mom, I would stop and just tell myself to breathe! It makes such a difference! I can sometimes feel myself tensing up and if I stop and breathe and relax I can then go on with a clearer mind. So Just Breathe! I guess that's why yoga and meditation are so good for stress relief. They are what keep you in the present instead of weighing down your mind with all the clutter of everything else. We just don't realize how precious moments can be, do we? 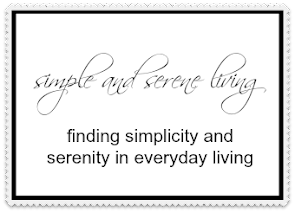 "Simple and Serene Living" has been included in the eleventh edition of our Thinking of Christmas Gifts in July 2014 series. Be assured that we hope this helps to point many new visitors in your direction. When ever my girls are going through some crises I always tell them to take a deep breath! Have a wonderful weekend, Laura! Thank you....I needed to read this today.